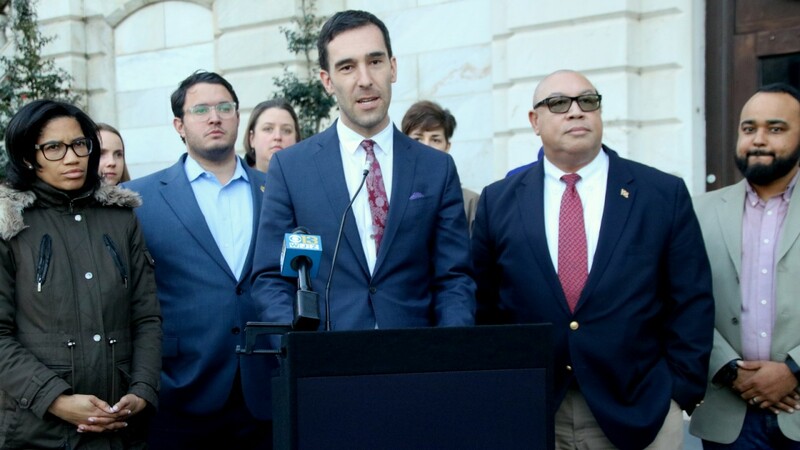 The city should not continue to make residents pay for Baltimore’s failure over decades to maintain aging water and sewer infrastructure without scrutiny, Councilman Isaac “Yitzy” Schleifer said, standing outside City Hall with fellow lawmakers and advocates for water customers. Cohen said he has already asked for the rate hike to be postponed in a December 21 letter to Department of Public Works director Rudy Chow. But Chow – who sits along with Mayor Catherine Pugh as one of the five members of the Board of Estimates set to vote on the rate hike – never replied to him, Cohen said. Chow’s spokesman has not yet responded to a request from The Brew for comment. The rate hike, announced in November, would raise water rates by 9.9% each year through June 2022 and sewer rates by 9% annually. In addition, the stormwater remediation fee will increase by 9% a year through 2022. The increases would cost the average household about $300 more by 2022, according to DPW estimates. They come on the heels of a previous dramatic rate hike. In 2016, city water and sewer bills began the first of three roughly 10% yearly increases, which over three years represented an increase of over 30%. City officials have justified both increases by saying the city needs extra revenue to cover the high cost to repair aging pipes and treatment facilities that are resulting in violations of federal law. The projects they have cited include the nearly $300 million project to install underground tanks to store drinking water currently kept in the Druid Lake and Lake Ashburton reservoirs. But questions have been raised about just how much more the city needs to extract from residents to cover these repairs. As The Brew reported last month, the city’s own documents forecast that Baltimore’s utility funds will collect $215 million in surplus money – in effect, “profits” – between now and June 2022. The city’s own documents forecast that Baltimore’s utility funds will collect $215 million in surplus money – in effect, “profits” – between now and June 2022. That discovery, unearthed from deep inside one of the bond buyer reports required by the U.S. Securities and Exchange Commission, raised a critical issue for Mary Grant, who directs Food & Water Watch’s “Water for All” campaign. Grant said she turned to agency officials to clarify the decision-making process. Grant and other advocates from the Baltimore Right to Water Coalition joined Cohen, Schleifer and fellow Council members Kristerfer Burnett, Bill Henry and Shannon Sneed in the call for a rate study. Baltimore itself has in the past provided more information to justify rate increases, Henry said. “This is nothing new,” he observed, noting that under the previous administration, DPW officials came to the Council to provide data explaining the need for a rate increase. “Our rates at that time were low compared to other cities,” Henry said. Now prior rate increases, together with the proposed new one, “means an over 95% increase in the price of water over 10 years,” Schleifer said. With ever-rising water bills posing serious hardships for city residents, more transparency and accountability are essential, said coalition member Molly Amster, of Jews United for Justice.